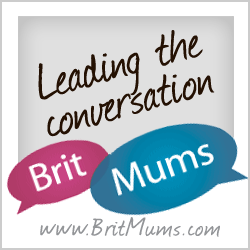 Do you buy chocolate for loved ones at Christmas? 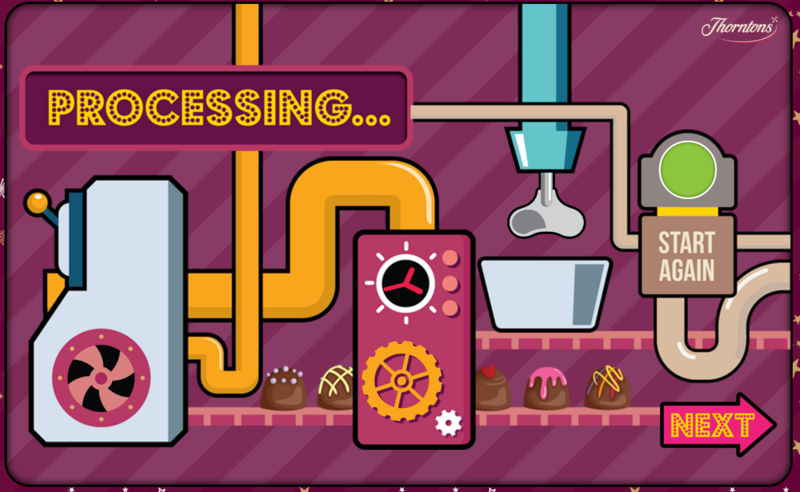 What sort of chocolate do you buy? 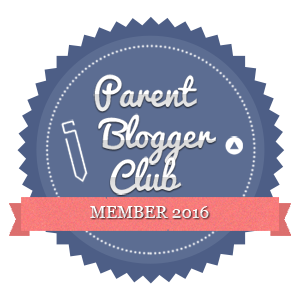 There is an awful lot of the stuff out there, so how do you possibly choose? 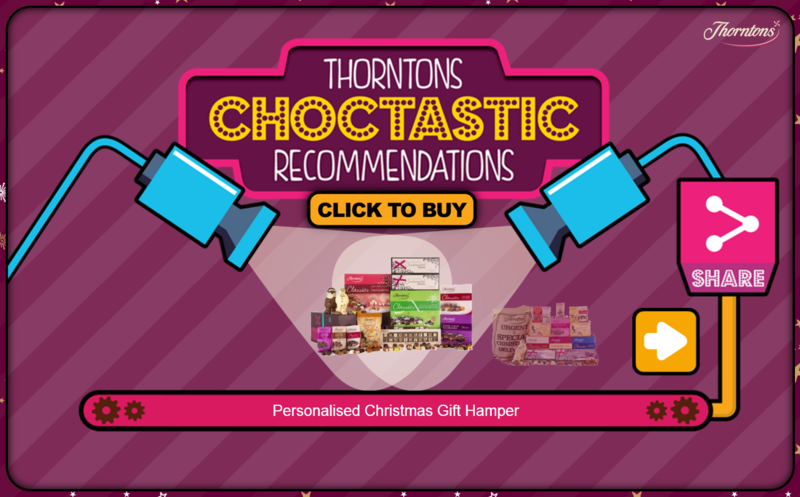 Thorntons Christmas gift finder is the most ‘choctastic’ way to find perfect chocolate gifts. 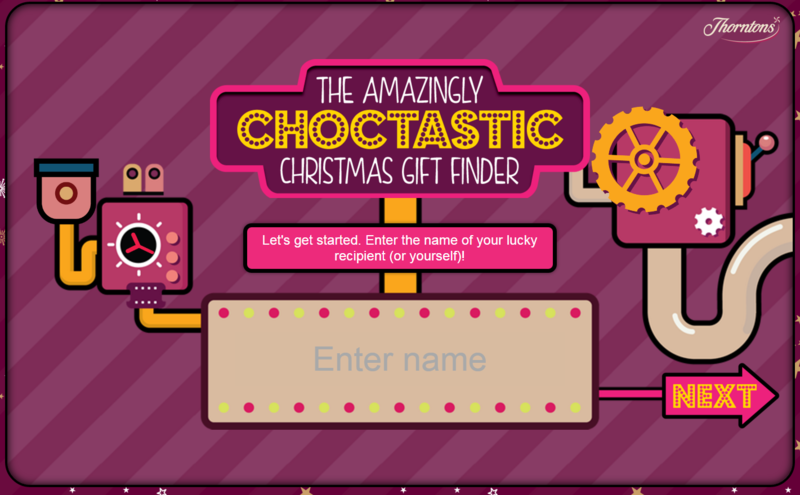 Whether it’s a sleigh full of chocolate from one of Thorntons Christmas hampers or an extra-special personalised gift to add to a loved ones’ stocking, the Thorntons Choctastic Christmas gift finder will recommend a chocolate gift that’s guaranteed to make your lucky recipient smile this Christmas! 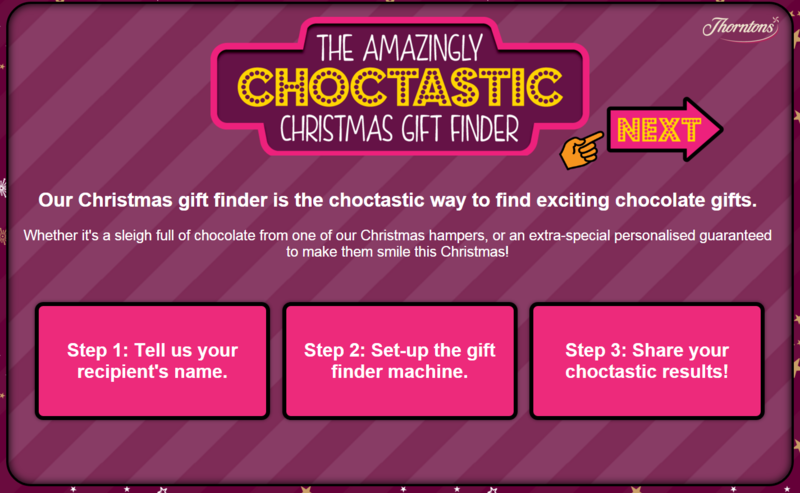 This is how things will start off, just follow the instructions to find the perfect gift, it couldn’t be more simple! You can tell the gift finder if you are looking for stocking fillers or a bigger gift and then you will receive some recommendations. 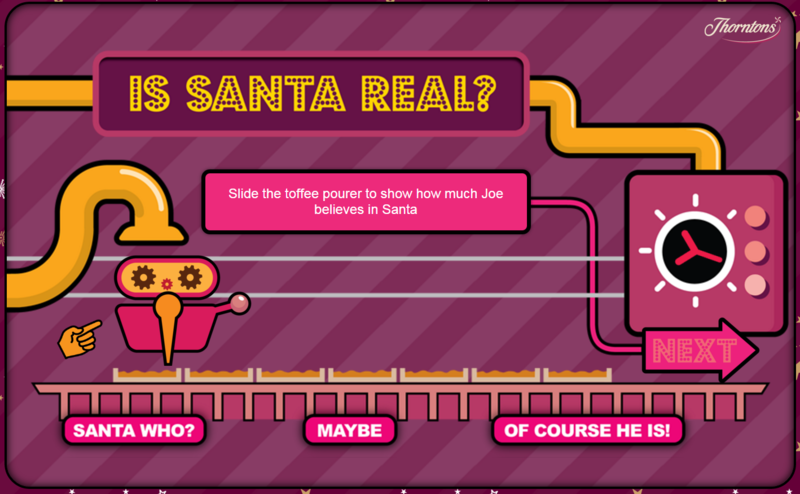 Just click here to have a go.